Finance Minister Arun Jaitley on Monday wrote to Jammu and Kashmir Chief Minister Mehbooba Mufti Sayeed urging for introduction of the Goods and Services Tax (GST) in Jammu and Kashmir from July 1 along with the other states. Jaitley said if Jammu and Kashmir is not able to introduce GST from July 1, 2017, it may lead to many adverse impacts. He said there will be a general increase in prices in the state of all goods being purchased from other states and also an increase in the price of all goods being sold from Jammu and Kashmir to other states which shall have an adverse impact on domestic industry in the state. The Finance Minister pointed out that this is so because the GST is a destination based tax. To ensure this an Integrated GST (IGST) shall be levied on all supplies of goods and services made in the course of inter-state trade or commerce. Under GST, any dealer of goods or services purchasing such supplies from any other state pays IGST to the seller but is able to take credit of this IGST so paid in subsequent sales. 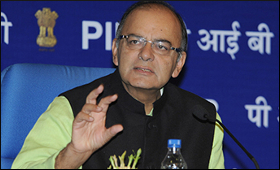 The Finance Minister mentioned that if Jammu and Kashmir does not join GST on July 1, 2017, for all purchases made by the state from other states after July 1 the dealer shall not be able to take credit of this IGST which shall get embedded into the price of purchased good or service, leading to cascading of tax and increase in the price of the said good or service for the final consumers in Jammu and Kashmir. Similarly, in case of goods or services sold from Jammu and Kashmir to other states, the buyer in the state purchasing from Jammu and Kashmir shall not be able to take credit of the local taxes paid to the dealer making the sale, which shall increase his cost of purchase through embedding of such taxes in the price. This shall put trade and industry in the State of Jammu and Kashmir at a competitive disadvantage, a finance ministry statement explained.